Many of the most ubiquitous fairy tales evolved from previous incarnations that exposed deeper historical, and often brutal, roots. The child heroes of “Hansel and Gretel” emerged from a country starving during the Great Famine of 1315, while the Pied Piper denotes a particularly dark period in Germany when parents sold their children to settle unoccupied, war-touched lands. 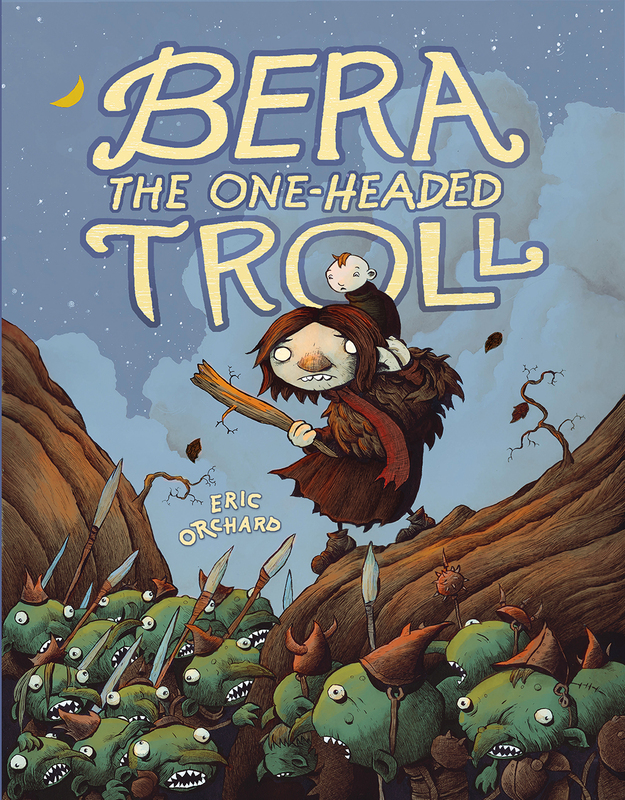 Cartoonist Eric Orchard’s gorgeous new graphic novel, Bera the One-Headed Troll, veers nowhere near those extremes, but it does channel a far more complex backstory than its whimsical veneer might allude. The story concerns the titular troll who farms pumpkins on an isle alongside her aviary companion, Winslowe the Owl. 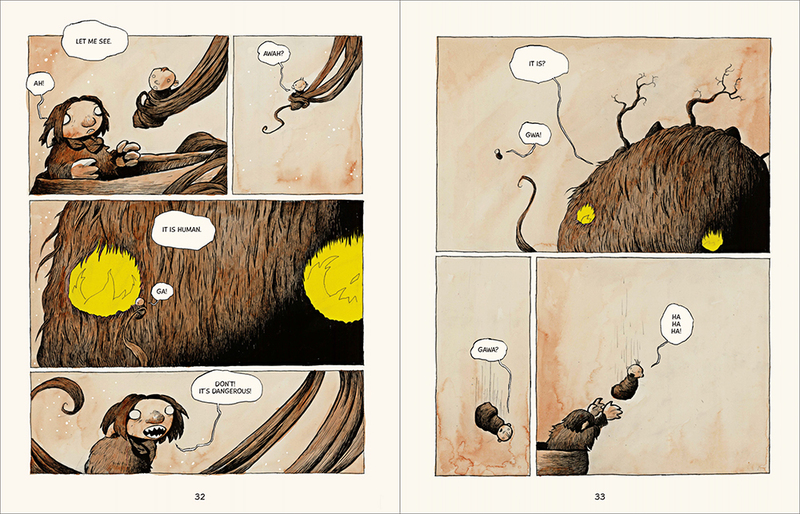 A human infant inexplicably falls into Bera’s care, and, frantic and ill-prepared, she embarks on a trek to find a new home for her new passenger while pursued by a malicious witch and her floating-eye spies. Orchard, working in meticulously detailed, moody line work that recalls fantasy pioneers like Arthur Rackham, found inspiration for this fantasy in his own youth. His Mother grappled with paranoid schizophrenia throughout her life, yet overcame her symptoms to raise the cartoonist. That emotional nuance seeps deeper than the ink on every page—Orchard’s affection and empathy filling Bera with a gravity and vulnerability that grounds the charming, intoxicating landscapes in 3-dimensional characterization. Paste spoke with Orchard on the phone to explore this seminal project and its personal foundation, while also revealing the cartoonist’s folklore sweet tooth and future plans for fire-breathing ducks. Paste: I was intrigued to discover that this whimsical fairy tale is somewhat of an an autobiography, detailing your relationship growing up with your mother. What inspired you to translate your life experience into this narrative? Eric Orchard: My mother is a paranoid schizophrenic. She was heroic to me in a lot of ways by bringing me up, despite that huge challenge. I kind of talked about in fairy-tale form. Paste: If I hadn’t known that going in, I doubt I would have picked up on that theme. 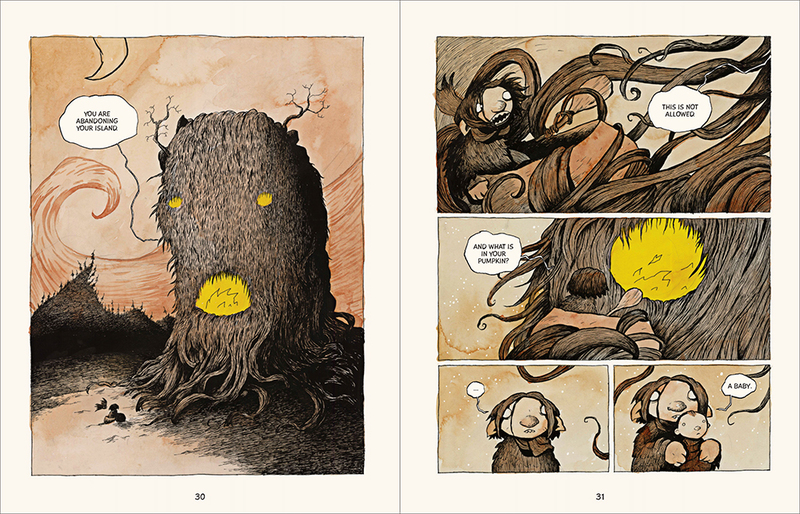 But reading through Bera, I found it interesting to interpret it through that lens. I was looking at the incomprehensible, deceased aunt communicating with Bera, and I could potentially see it there. And looking at Cloote, she gave off a bureaucratic, government vibe. Do these characters reflect scenarios you dealt with? Orchard: Not really. I didn’t approach it that way; it just happened organically. If you can associate things with real life, it’s more accidental than purposeful. Paste: So it’s more from osmosis. Orchard: Exactly. I actually have mental health issues myself. Part of the book was done in a mental hospital. Paste: I would love to hear more about it. Did this book give you a sense of release while you were in the mental hospital? Orchard: Well I was there for anxiety and obsessive-compulsive disorder. It was just a really awful time. My doctor put me in the hospital and I didn’t want to be there and it was very isolating, and kind of scary. So having these characters that I could work on and this story I could work out offered a huge sense of relief and normalcy in my life. Paste: Did being in that environment make you think more of your mother and the challenges she faced? Orchard: It really did. She spent a lot of time in mental health facilities, so I think it gave me greater empathy for her. Paste: Looking at Bera, she’s incredibly selfless and brave, but vulnerable at the same time. Are these the attributes you’re channeling from your mom? Orchard: Absolutely. My mom is very vulnerable. And I worry about her a lot. I think I was putting down those feelings of concern onto the page, but also celebrating her strength to get beyond her issues and raise me in the best way she could. 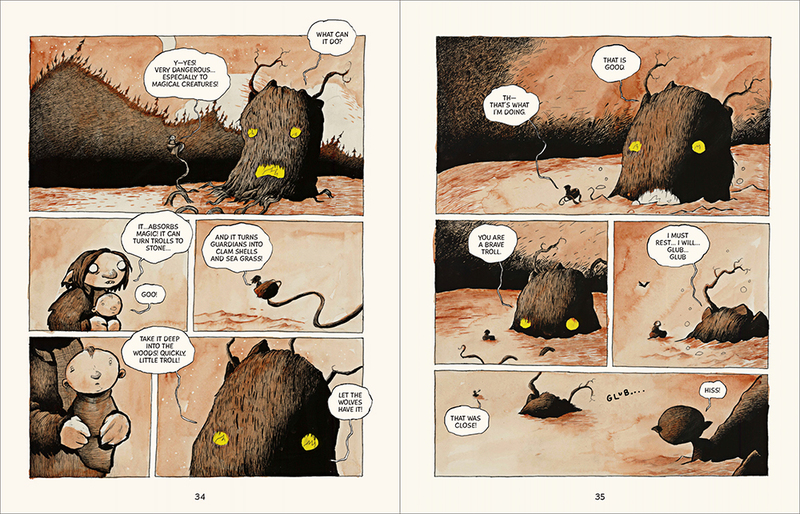 Paste: You channel fantasy icon Arthur Rackham in the book. I noticed that influence in the dense hatching and cross-hatching. It’s so detailed. Can you talk about the tools and the process behind the graphic novel? Orchard: It’s on watercolor paper and I used dip pens. I wanted to achieve a look that reflected that Victorian or Edwardian fairy tale look, so I stuck to those traditional tools. It can be very time-consuming to work in that way, but I was able to get the effect that I wanted. So I wanted to add to that tradition of fairy tale stories that started in Edwardian and Victorian times, so I wanted it visually to reflect that aesthetic. Paste: What are some of the fairy tales or sagas that gave you the impetus to go in this direction? Orchard: Initially, it was a lot of illustrators like Arthur Rackham and Edmund Dulac, but it was also Grimm’s Fairy Tales, which I’ve been reading religiously since I was young. I have favorites like “Bluebeard,” “Hansel and Gretel.” Tales like that reflect the vulnerability of the protagonists that have to be overcome. That really resonates with me. Pantheon did a wonderful fairy tales of the world series. I gobbled those up. I’ve just read so many—Irish folklore is a big influence on what I’ve done. The Norse Sagas, the Icelandic Sagas. There’s a book by [Peter Christen] Asbjornsen and [Jorgen] Moe of Norwegian folktales, and that has a lot of troll stories in it that had a big influence on me. There’s a Swedish illustrator, John Bauer, who illustrated a lot of fairy tale books and troll books. 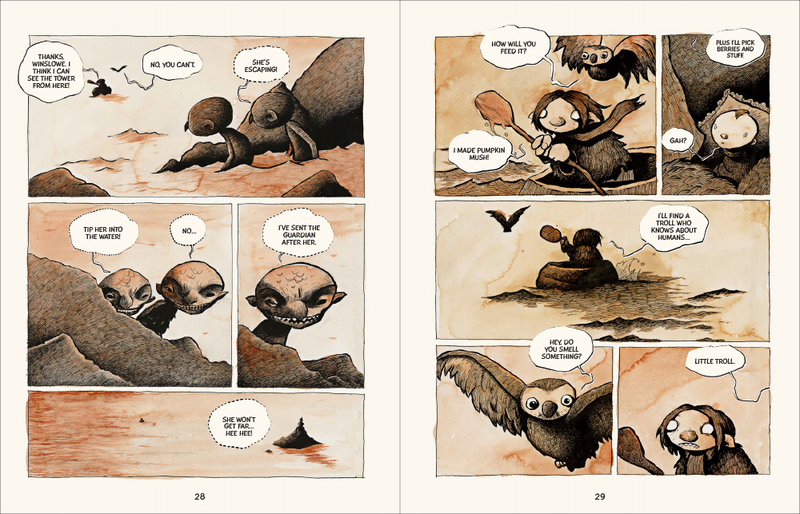 Paste: Grimm’s Fairy Tales have gone through so many iterations to become sanitized, but I appreciated how Bera still had characters like mermaids attempting infanticide. And I thought, you’re going back to these fairy tales when they reflected much harsher times. Orchard: I love how early fairy tales portrayed the world as a potentially dangerous place—a place that was both cozy and comforting, and at the same time rife with danger. In a lot of my work I try to achieve that same contrast. I find it so compelling and true to life. You have to accept the dark with the light. Paste: Speaking of the light, I think the heroine Nana may be my favorite character. There was an element of Shel Silverstein’s The Giving Tree in her. How did she emerge? 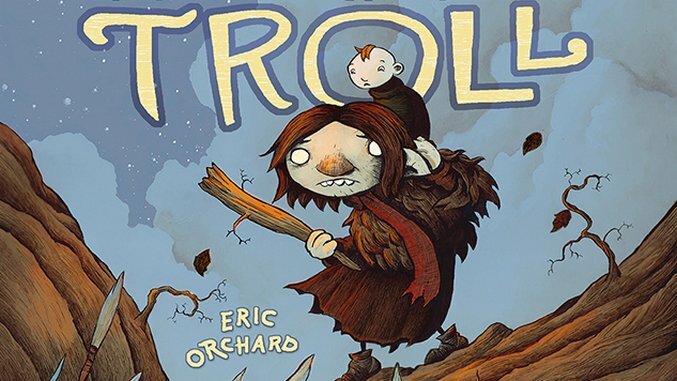 Orchard: I love the idea of trolls being tied to nature and forces of nature. I wanted Nana to be that giving side of nature, that gives and gives until it can’t give anymore. My grandmother was called Nana, and I named her after her. It was a reference to that idea of how the earth gives and how we all go back to the earth. Paste: Are you working on any new projects you can talk about? Paste: How did you come up with the concept of a fire-breathing duck? Orchard: Doodles. It happened organically. It just made visual sense at the time. It’s about a fire-breathing duck who returns home to the farm where he grew up, only to be rejected by the inhabitants.